Yes, I am one of those 'blogging types', but I'm also so much more, too. — sophie rosie. I'm more than just my blog. Isn't the world of online dating just so, so wonderful? I hope you can sense my sarcasm here, because I've not been back on dating apps for long, but I'm already tired of them. I'm tired of the small talk. Of all the 'yeah I'm good you? 's being the first and last minimal-effort interaction you have with a person, and of all of the instant stereotypes. 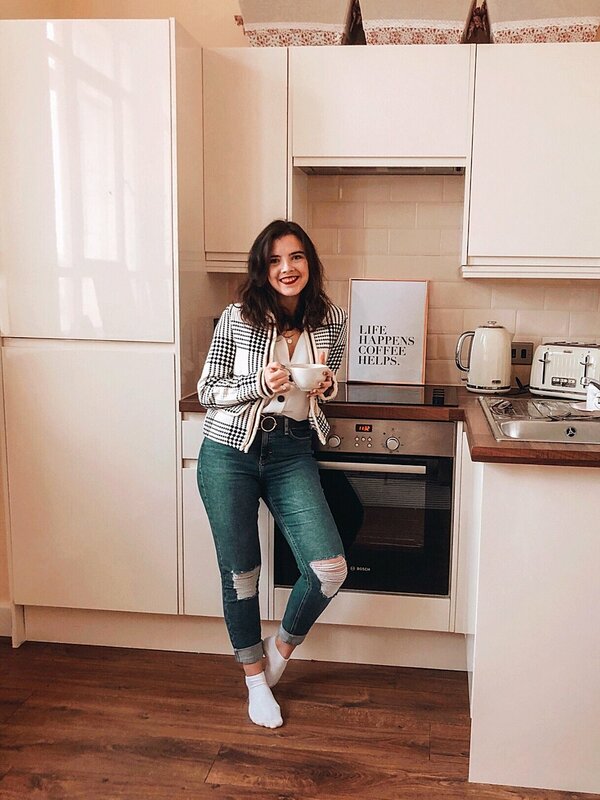 Like a lot of bloggers I know, I will always leave my blog off my profile... mainly because I massively overshare on here, and a quick scroll through my blog and you'll know a lot more about me than I know about you, which seems a little unfair, don't you think? Now, like I say, I haven't been doing this for long, but I've already had one date sit there and tell me he asked his sister whether or not he should take a 'blogger' on a date, or if he'd just be someone to hold my bag and take photos. And just yesterday, a guy found my Instagram and then messaged me with... 'oh god, you're one of those blogging types'. I mean, it wasn't a question, but a simple statement with negative connotations and like most things, I started over-thinking it. Yes, I suppose I am one of those 'blogging types'. I drink coffee and will order avocado on toast for breakfast. I will probably insist on taking photos of our brunch date before you can eat any of it (but doesn't everyone now?). I spend a lot of time editing my photos and way too much more time planning my Instagram. I will sit in a coffee shop with my macbook for hours while I write. If we go somewhere pretty, I'll probably ask someone to take a photo of me stood in front of it. OR I'll plan a day in a location I know I'll get a good Insta snap. Blogging is simply my choice of hobby right now, but it's not the only thing that defines me, that interests me, or makes me who I am. I have a whole second Instagram account dedicated to buildings because I have a fascination with architecture, and spend more of my spare time than I care to admit googling the history of buildings, finding out who used to live there or what they used to be used for. I love going on a long walk more than anything in the world... even better if it's somewhere I've never been before or somewhere new to explore. I'm focused and passionate about my career and founded Girls in Work to learn even more as well as empower and inspire other women. Being by the sea is my favourite thing and I'd sit and watch boats all day if I could. Like all of us, I could go on. I'll never be embarrassed about being a blogger. I love it a lot, it has given me skills that I never would've gotten before, and there's no doubt about it that I wouldn't be where I am today without my little blog. I have met the best of friends through the industry, my confidence has blossomed and I'm constantly inspired every day by the content that gets produced by the community. So yes, I am one of those 'blogging types' and I'm pretty damn proud of it, but there's also so much more to me, too. Aug 14 A little flat tour.